OctaFX is proud to confirm that our junior demo contest has finished its 10 round! That means we had given away $4000 to most talented cTraders! 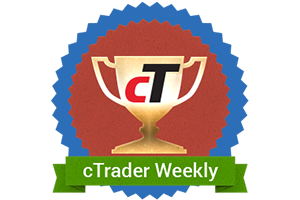 We would like to thank all cTrader Weekly participants – it’s 8000 traders in total! OctaFX cTrader Weekly demo contest continues and the new round starts in a week! Experience all advantages of using cTrader platform on any device – you can even trade straight from your browser using cTrader Web! Take your time to register and win a deposited cTrader account! Round 35 OctaFX Champions announced! Round 35 success stories arrived! This week, our main winner – Mr. Susilo Aji from Indonesia, surprised us with his emotional interview and we are happy to present it to you!